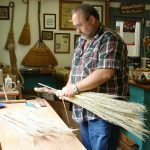 The 2018 Hands-On Gatlinburg Arts & Crafts Weekend provides arts and crafts lovers the opportunity to own a beautifully crafted piece of artwork made with their very own hands. Take a look around your house and you’re likely to find a multitude of carefully orchestrated decorative pieces all telling the story of the personal character of your home. That beautiful, handmade vase you’ve been complimented on over 100 times. The intricately carved broom hanging on your mantlepiece constantly admired by visiting houseguests. What if those unique pieces weren’t just a compliment to your style, but a point of personal pride? 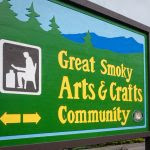 Studios throughout the Great Smoky Arts & Crafts Community will host over 40 different classes, providing guests the chance to learn how to make their favorite crafts from the professionals themselves. 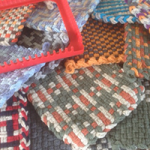 An abundance of do-it-yourself style classwork will be offered, from knitting to pastels, painting, jewelry-making, watercolor, scarf-making, weaving, pottery, crochet, woodworking, soap-making and much more. Festivalgoers can keep the items they make and place them alongside their other coveted works of art. 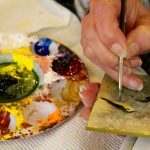 Hands-On Gatlinburg Arts & Crafts Weekend is April 13 through April 15 and would make a great Christmas gift for the art lover in your life. April 13-15 – There are twenty-four (24) classes available. For questions about this class, please call Sparky’s Glassblowing at 865-325-8186.